The Clayton Town Council has signed off on plans for a new subdivision and a cell phone tower. Monday night, a public hearing was held on a request by Umstead Partners LLC to develop 42 single family houses on a 19.8 acre tract of land it owns on Amelia Church Road. The property is located between the Wynston and Coxwoods subdivisions. The main entrance to the new Umstead Subdivision will be located off Amelia Church Road through Gregory Drive. Seven lots will be accessed off Dayflower Drive in the Wynston subdivision. No one spoke in opposition of the development during a public hearing. The council approved the request along with the necessary rezoning to R-10 residential from R-E Residential-Estate. In a second public hearing, the council approved a request from Crown Castle to placed a Verizon Wireless cell phone tower in the 3600 block of Covered Bridge Road. The site is between the Riverwood subdivision in Clayton and Cooper Farms in Archer Lodge. The tower will have additional space for antennas to be added by other cell phone providers in the area including AT&T, T-Mobile, US Cellular and Sprint. The developer will lease an 80-foot by 80-foot space from the Louise F. Pourron Life Estate, which owns 98.4 acres at the location. 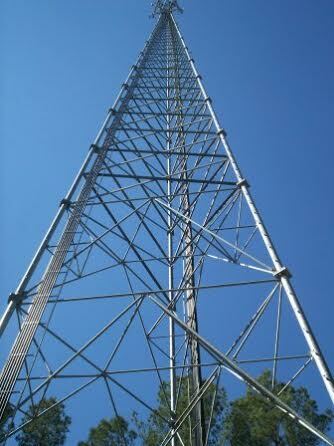 The tower will be 155 feet tall with a 9 foot lightening rod attached to the top for a total height of 164 feet. No one spoke in opposition of the tower during the public hearing.